Traverse City, MI – When a death occurs in a family, some of the most frequent questions that come up relate to children and how to address the topic of death. Common questions a funeral director often hears in this circumstance are: what age should a child come to a service? How do I explain death to my child? Is it OK if I cry around my children? How do I explain a funeral/cremation to my child? This list can go on for a long time. To address this issue, Reynolds-Jonkhoff Funeral Home and Cremation Services developed the idea for Hannah Bear. The funeral home had previously given teddy bears named Hannah to small children after experiencing a loss. For this version of Hannah Bear, the funeral home developed a coloring book to help answer common questions children have about death as well as give the child something to do during the preplanning of the service and on the day of the funeral. Each page of the coloring book offers advice, explanations, and tips to help children cope with the loss of a loved one. While the book is geared towards children, parents have also benefited from it as a tool to learn from. The book and the teddy bear are available throughout the funeral home as well as in all of the transfer vehicles. 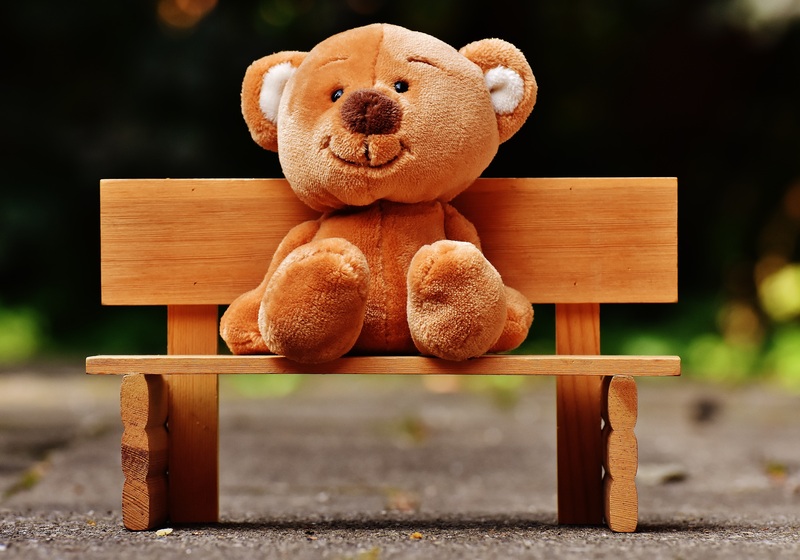 Whenever the staff is serving a family, they are quick to present the bear and book to children to help them cope with the emotions they are feeling. The book has the potential to help almost every family the funeral home serves because nearly every family has children, grandchildren, or other relatives that can benefit from the advice offered throughout it. The feedback and benefits from the Hannah Bear coloring book have been nothing but positive. As a result, Reynolds-Jonkhoff Funeral Home and Cremation Services is now in the process of making the book available for other funeral homes across the country to purchase to help children in their area cope with a loss. This entry was posted in The Good Funeral on July 13th, 2017 by ObitTree .